The Santee Cooper Power and Navigation Project, begun in 1939, did much to stimulate South Carolina’s economy after the Great Depression. The project improved navigation on and provided hydroelectric power from the Santee and Cooper rivers to Berkeley, Georgetown and Horry counties. During the project, 900 families were relocated and more than 6,000 graves were relocated or buried beneath the waters of Lake Marion and Lake Moultrie. The Santee-Cooper Project provided hydroelectric power that supplied electricity to many rural areas of South Carolina for the first time. 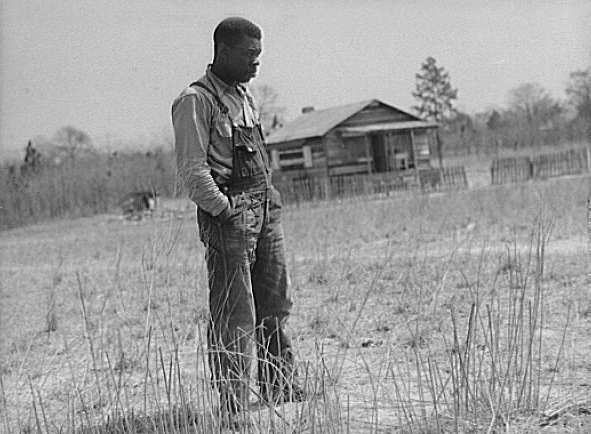 The project, which employed 16,000 workers during the Great Depression (12,500 of whom were taken from relief rolls in affected counties), created two lakes (Lake Marion and Lake Moultrie) and two smaller impound lakes (Buzzard Roost and Santee-Cooper). These waterways created recreational boating, fishing, camping and hunting opportunities, which led to the creation of Greenwood and Santee State Parks. The draining of swamps throughout the project area indirectly contributed to the eradication of malaria in five counties1. Santee Cooper is now the primary source of power to all 46 counties in South Carolina, in partnership with 20 electrical cooperatives throughout the state2. 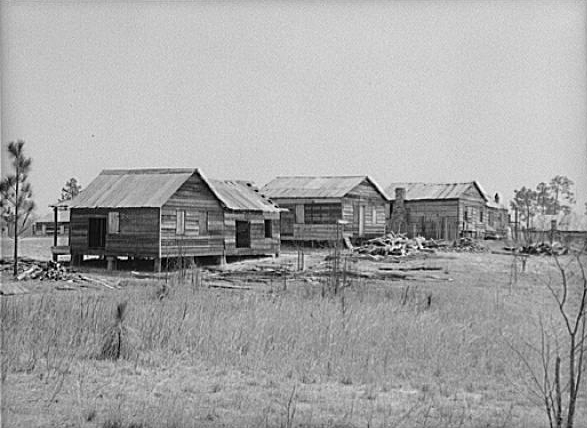 The Santee-Cooper Project required the removal or relocation of entire communities, churches, schools and homes. The project relocated 901 families, most were African American. More than 6,000 graves in the affected area were relocated3. 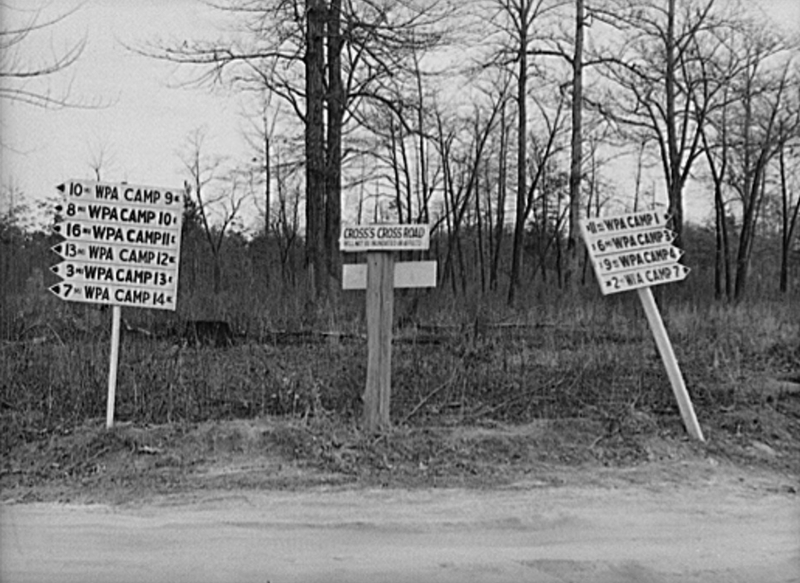 Where families were relocated, the state made efforts to move families to land of equal or greater value. Efforts were made to keep families and neighborhoods together in the move. Homes were relocated if possible. 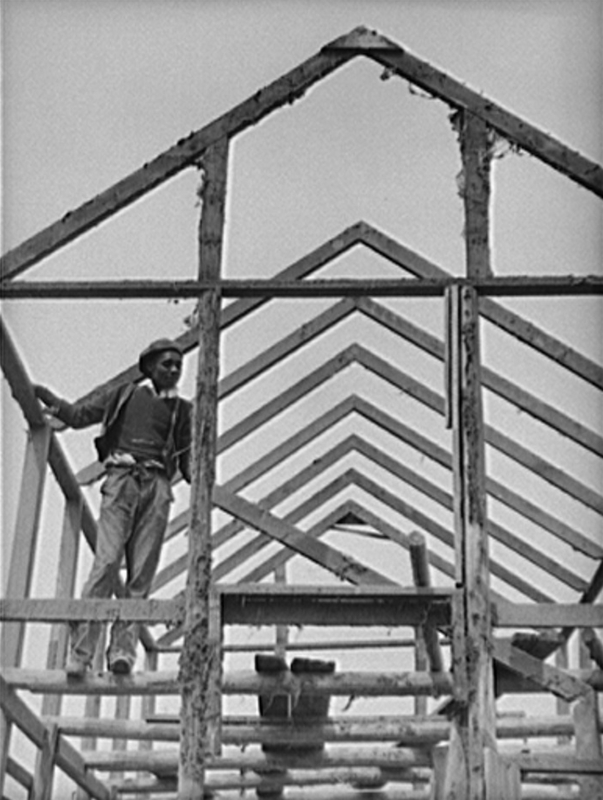 If a home was not worth saving, a new home was built. Each family was given 100 chickens as part of the move4. Despite these efforts, those who were relocated faced many hardships. 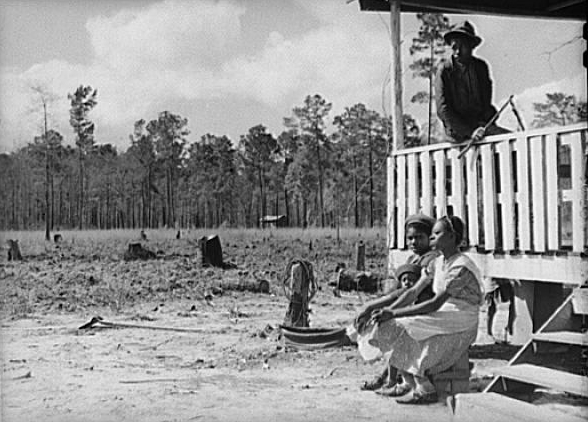 Some families had to clear their new land by hand before it could be cultivated, and many families were reluctant to leave lands their ancestors had occupied for generations 5. 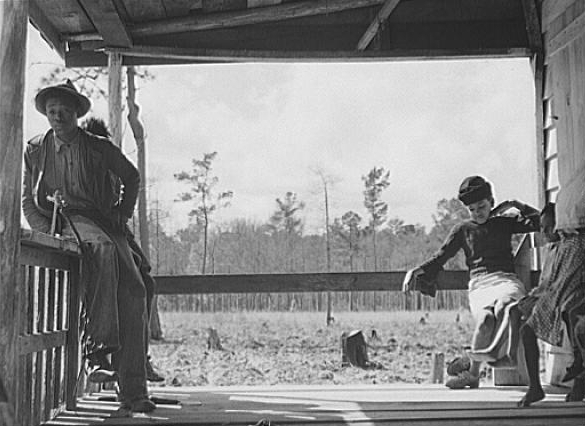 In 1941, photographer Jack Delano documented some of the familes’ moves, on behalf of the Farm Security Administration. 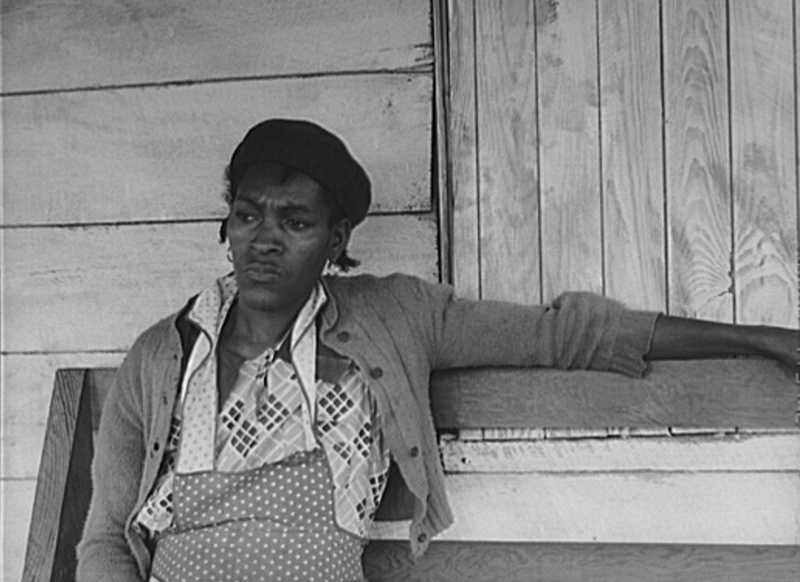 It is clear from Delano’s photographs, and the captions assigned to them (preserved in the rotating photo gallery below) that Delano was moved by the hardships these families faced during the relocation. The project required the clearing of 177,000 acres of land. Land to be submerged under Lake Moultrie was thoroughly cleared. Plantations, graves and trees were relocated or removed. The area beneath Lake Marion was not cleared to this extent, and trees are still visible beneath the lake’s waters6. Much of the land clearing was done with handsaws and mule-drawn wagons. The project became the largest land clearing project in United States history7. When possible, homes were relocated with families. 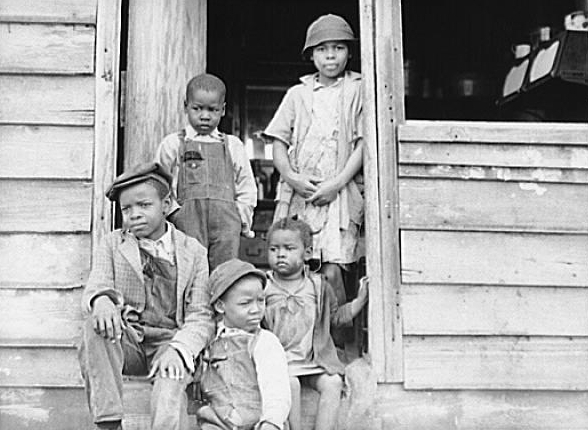 Some families were living in homes that were deemed not worth saving, and new homes were built for these families. 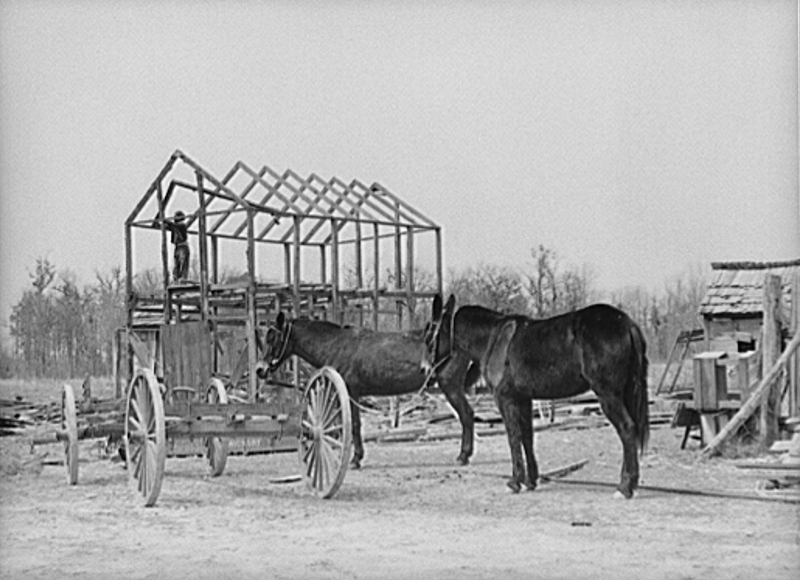 Relocation was difficult, often done with hand tools and mule carts. 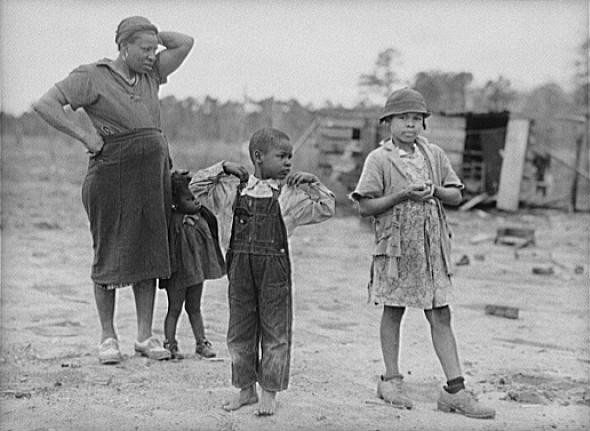 Some families were relocated to Orangeburg Farms at Orangeburg, SC, a farming community settlement project of the Farm Security Administration. Efforts were made to keep families and neighbors together, and to move families to land of equal or greater value. Each family relocated was provided with 100 chickens as part of the move. 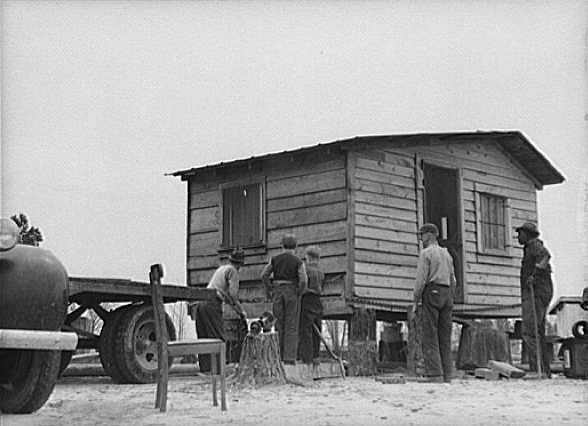 The move was difficult for families whose homes were relocated. 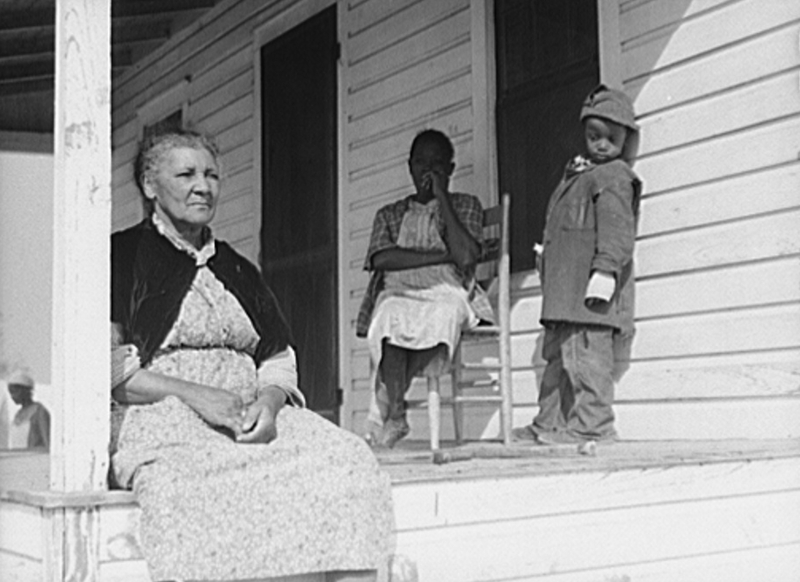 The families depicted in these two photographs had to clear their own land before it could be cultivated. 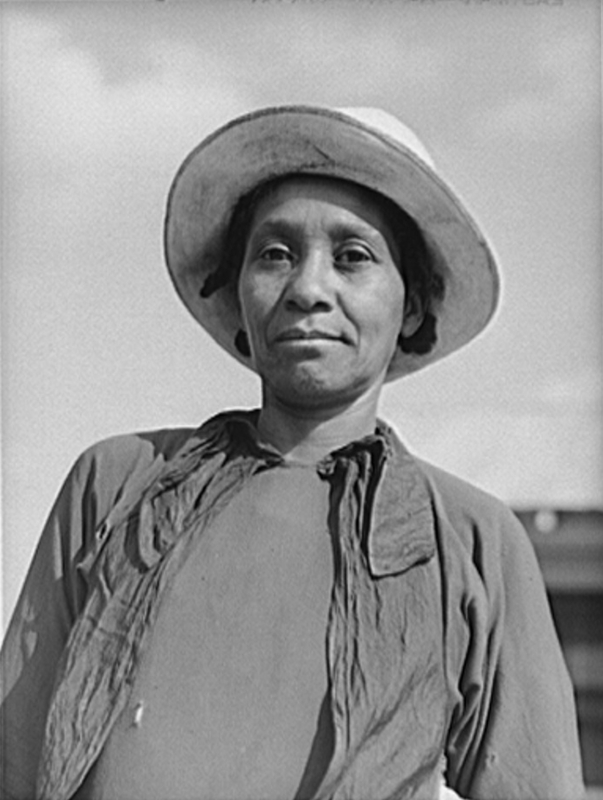 Over the course of the project, Santee Cooper acquired the title to 1,326 tracts of land and relocated 901 families, most of them African American8. Most of the families whose homes were relocated lived in Berkeley County, in the area now covered by Lake Moultrie. The land had been occupied and cultivated by generations of families, and many were reluctant to leave their ancestral homes. Photographer Jack Delano’s photographs are a visual record of the experiences of those whose homes were relocated. The collection includes portraits of some of the individuals and families affected by the relocation. During the Santee Cooper Power and Navigation Project, more than 6,000 graves were relocated or buried beneath the waters of Lake Marion and Lake Moultrie. 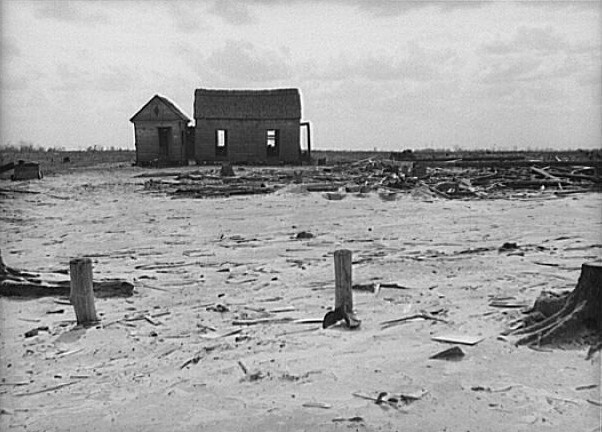 The area to be flooded by Lake Moultrie, in present day Berkeley County, had been inhabited for generations by plantation owners, enslaved communities and small farmers. It was from this are that the majority of the graves and cemeteries were relocated. 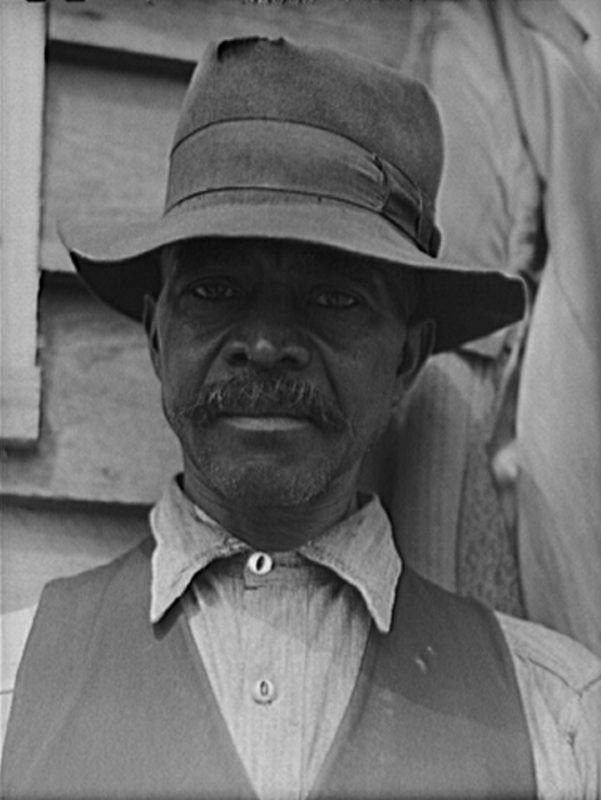 Charles E. Taylor of Lexington, SC, a highly respected undertaker and embalmer, was appointed to manage and document the relocation of graves. Under the procedures established for the project, the Cemetery Division identified cemeteries and graves and made efforts to learn the names of the persons buried there. Each cemetery lying within the affected area was advertised in local newspapers once a week for four weeks. 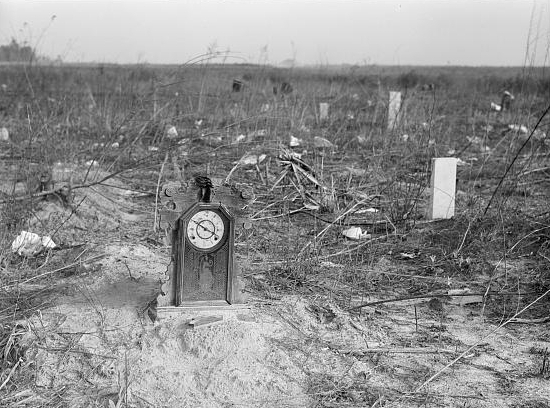 The advertisements called for relatives of those buried within the affected cemeteries to provide the South Carolina Public Service authority with a signed written notice stating their wishes for disposition of the remains. If no such notice was received, the Authority had discretion to relocate remains or leave them undisturbed. Cemeteries in the area to be affected were usually relocated, unless a request was received to do otherwise. Cemeteries that would not be affected by construction were usually left undisturbed unless a request to relocate the burials was received. Approved wooden burial cases were used to relocate burials. 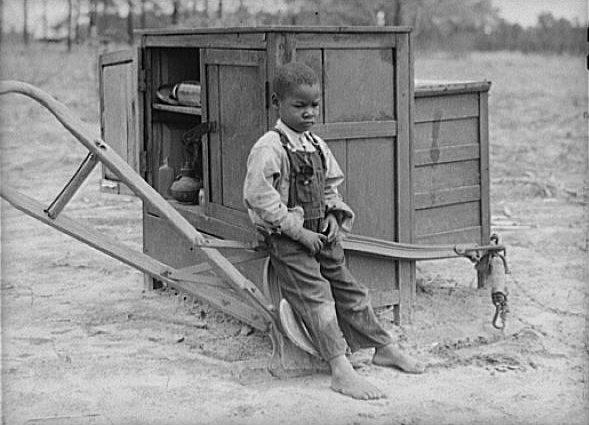 Many of the cases were manufactured by the Carolina Lumber Company in Moncks Corner, SC. Once a cemetery was identified, efforts were made to learn the names of those interred there. 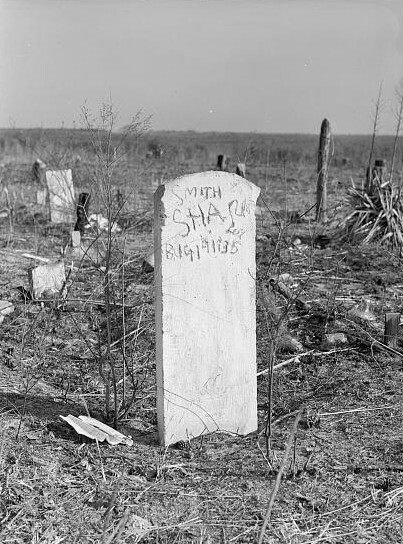 Information on headstones was recorded, and investigators interviewed local residents to determine the names of those buried in unmarked graves within the cemetery. In the case of the Belvidere Plantation cemetery alone, investigators learned from local residents the names of 244 African Americans believed to be buried there. By following the procedures established for grave identification, investigators carried out one of the largest oral history projects undertaken in South Carolina’s history9. Investigators made careful records for every cemetery within the area affected by the project. The result was a remarkable body of records documenting burials within the project area. 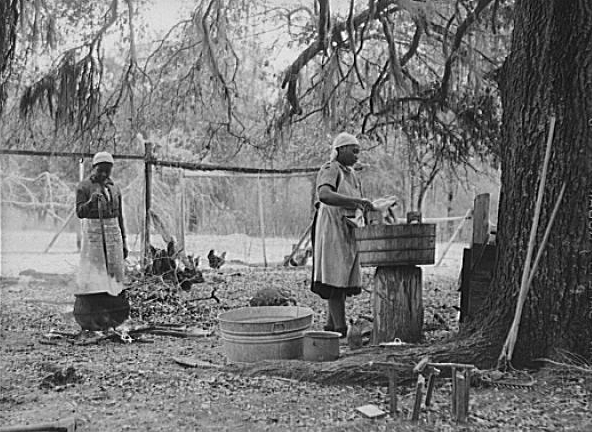 The records, which have been preserved at Santee Cooper in Moncks Corner, SC, were the subject of two projects to make the information publicly available. 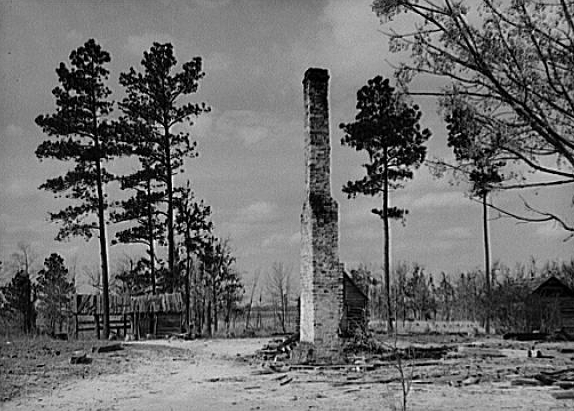 The Berkeley County Historical Society, in collaboration with the South Carolina Public Service Authority, undertook an enormous project that resulted in the 1986 publication of their book Cemetery Records: A Documentary of Cemetery or Burial Ground Reports and Grave Relocation by Santee Cooper from the Project Area, 1939-1941. The volume contains a description and list of burials, marked and unmarked, for each cemetery within the project area, and is a remarkable testament to the enormity of the oral history project undertaken by Santee Cooper to document burials in the affected region. All told, the investigators learned the names of 5,069 individuals buried in unmarked graves. The website Removal of Graves by the Santee Cooper Project, compiled by Emily Vaughn in 2000, made the information available on the Internet. The site is a must for anyone researching Berkeley County ancestors. Mielnik, Tara Mitchell 2012 New Deal, New Landscape: The Civilian Conservation Corps and South Carolina’s State Parks. Columbia: University of South Carolina Press, pp. 15-16. “About Santee Cooper,” Santee Cooper website, https://www.santeecooper.com/about-santee-cooper/index.aspx, accessed 11 Jun 2017. Bostick, Douglas W. 2008 Sunken Plantations: The Santee Cooper Project. Charleston: The History Press, p. 18. Bostick 2008: 36-37; Santee Cooper E-Smartkids, http://santeecooper.e-smartonline.net/history.php, accessed 11 Jun 2017. 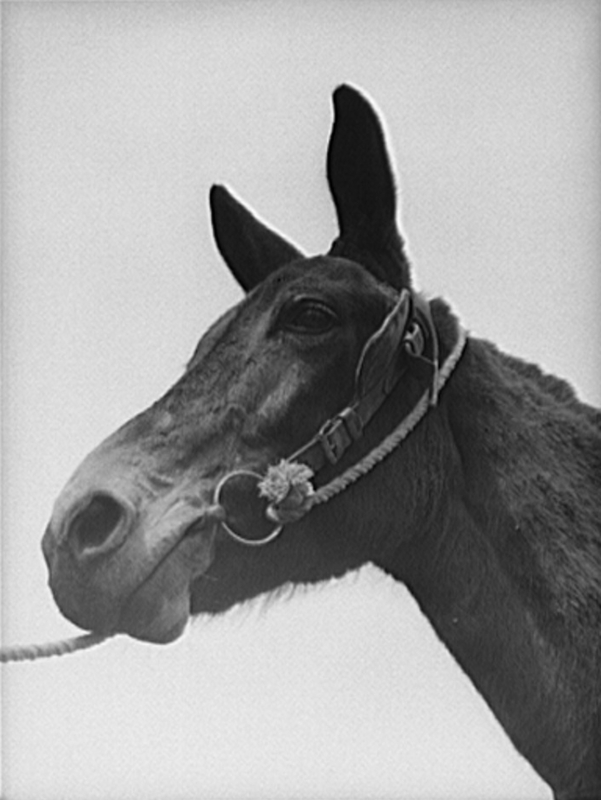 Library of Congress Prints and Photographs Collection, captions of photographs of Jack Delano for the Farm Security Administration. Taylor, Tom “The Ghost Town of Ferguson,” article prepared for the South Carolina Traveler website, http://www.scnhc.org/story/the-ghost-town-of-ferguson, accessed 11 Jun 2017. “Santee Cooper,” entry in the South Carolina Encyclopedia, http://www.scencyclopedia.org/sce/entries/santee-cooper/, accessed 11 Jun 2017. Berkeley County Historical Society, comp. 1986 Cemetery Records: A Documentary of Cemetery or Burial Reports and Grave Relocation by Santee Cooper from the Project Area. Self Published.